Former President John Dramani Mahama met some diplomats in peduase on 13th Feb.2019 for a discussion concerning possible solutions to put an end to party vigilantism in this country. In his submission, he took on the new commission of inquiry constituted under this government pursuant to article 278 of the 1992 constitution of the Republic of Ghana. He also said that, because the matter borders on criminality, the police should have been allowed to investigate it. One of his submissions I consider repugnant and hypocritic is the allegation he made to the effect that, the commission is only going to be used to shield certain people in government who played an instrumental role in what happened at Ayawaso West Wuogon recently. The same posture was reiterated by the party's general secretary over the weekend. We, the good people of Ghana have been described as people with short memory by the very man who is rubbishing the existence of the commission of inquiry constituted to probe what actually happened in AWW. Let me make it clear, without any contradiction that, some of us, do not have a short memory and we are, in the better position to point out the nonchalant hypocrisy of the former leader of the National Democratic Congress. If John Mahama and his party folks had paid attention to the terms and reference of this commission, they wouldn't have been making such senseless statements knowing very well the numerous commission of inquiries that were constituted under the NDC's regime from 2009/2016. The AWW commission of inquiry wouldn't have come into existence had it not been the public agitation that followed the AWW by-election. Former National National security minister under whose watch demonstrators of KUMEPREKO were maimed for exercising their constitutional rights wrote an open letter to the president and suggested that an independent commission of inquiry should be set up to investigate what characterized the AWW by-election. Security experts also recommended the establishment of a commission to probe every single action which marred the Ayawaso by-election. It was also alleged by NDC that, police vehicles were released to hoodlums believed to have had some links with the New Patriotic Party for the operation. The said allegation grounded the NDC's basis for saying" they can't trust the police service whose vehicles were used in this exercise" to conduct an investigation into the matter. The inconsistency and incoherent position of the NDC in respect of how the state can tackle the AWW issue clearly defines how confused and desperate they are. Now let me touch the substantive issues by first "pointing" out the NDC's double-mindedness and hypocrisy which stems from their recent stance on the AWW commission of inquiry. In 2009, when the NDC took over from the NPP. A commission of inquiry was set up to investigate the Ghana @50 anniversary. The Attorney General, Ms. Betty Mould Iddrisu instead of building a prosecutable docket on the basis of the commission's findings cluelessly proceeded to the high court with the findings of the commission to get some members of the anniversary committee prosecuted for alleged financial infractions. On 10th August 2010, Justice Samuel Marfo Sau in Republic v Charles Wereko & Another ruled against the state with an emphasis on article 279(1) and 280(2) of the 1992 constitution of the Republic of Ghana. In 2014, the NDC constituted a commission of inquiry into the Brazil saga which according to them was in line with measures to deal with officials who abused the public purse. At that time, the largest party in opposition, NPP never said anything to undermine the work of the said commission. At the end of the commission's work, and in the face of disturbing findings, not a single soul was prosecuted. Justice Apau's commission was also set up by the NDC government to review judgment debts if they had done due diligence, they wouldn't have paid. A classical example includes Isofoton fraudulent debt, Woyome and Waterville debts. The commission even went ahead to include judgment debts which were declared unconstitutional by the apex court. Not even a single debt was retrieved from the commission's work. Those who masterminded and colluded with the likes of woyome to dupe the state were never tried in any court. 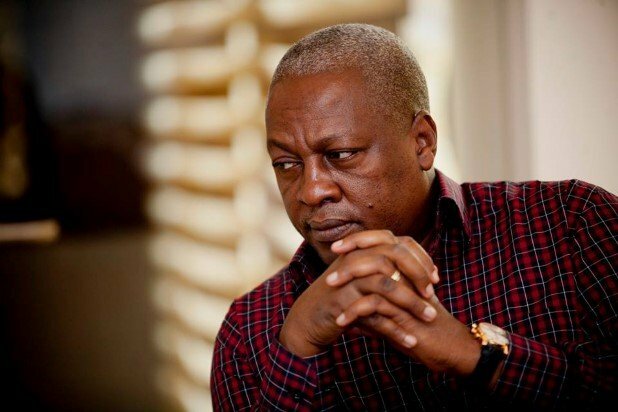 Today if the aspiring flagbearer of the NDC is questioning the existence of a commission of inquiry, those of us who do not have short memory should be candid enough to tell him to spare our ears with his desperate move to become president again after causing the mess of load shedding which plunged this nation into total darkness. #We need a credible opposition leader.